What can we say? It's Gyles Brandreth! He's doing a show. It features Gyles Brandreth! We took this photo, which also features Gyles Brandreth! He's lovely dresser, that Gyles Brandreth. 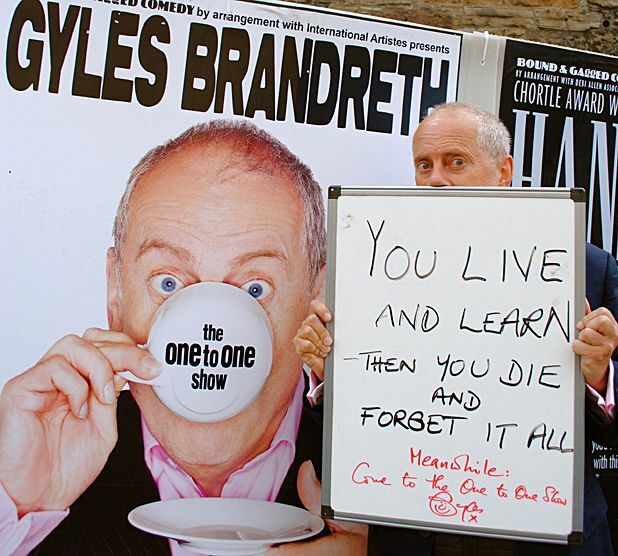 Gyles Brandreth: The One to One Show is at the Pleasance Courtyard. 4.30pm, until 30 Aug (not 11, 18). £14-£15 (£12.50-£14). Mr B also wrote Wonderland, Assembly @ George Street. 1.45, until 30 Aug (not 17). £14-15 (£13-£14). Kids naturally get embarrassed about their parents. But how would you feel if your dad happened to be a high-flying politician?